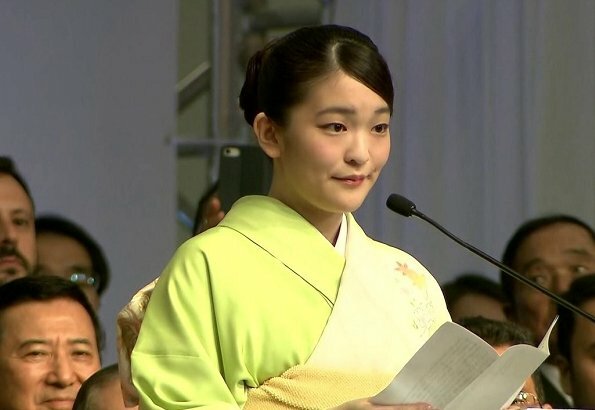 On July 21, 2018, Japan’s Princess Mako has arrived arrived in Sao Paulo as part of her two-week visit to Brazil to celebrate 110 years of the arrival of the first Japanese immigrants to Latin America’s biggest country. An estimated 1.9 million Japanese or their descendants live in Brazil, most of them in Sao Paulo, South America’s largest city. 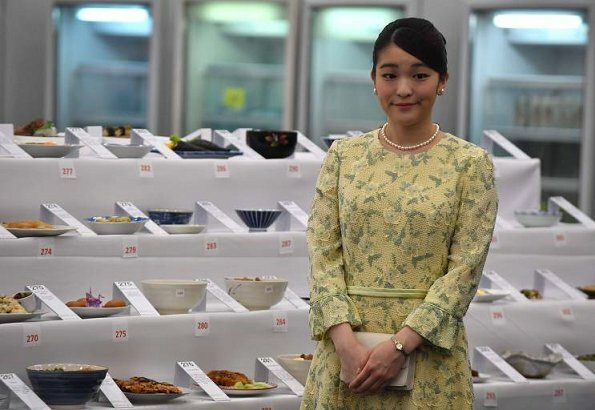 Princess Mako of Japan visited the 21st Japan Festival, a three-day event showcasing Japanese cuisine, culture and products. What a beautiful kimono--the floral embroidery and fresh lime colors are lovely. 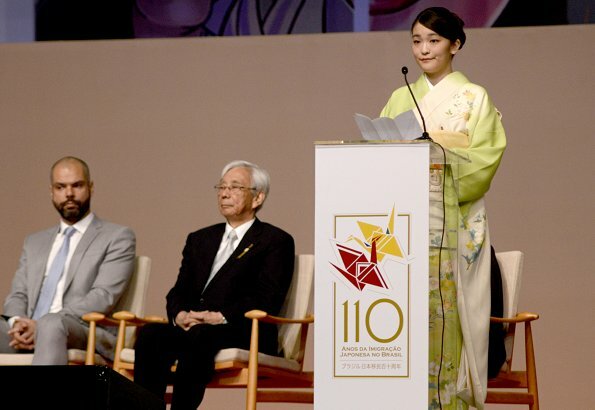 Her western dress is a bit more lively than yesterday's suit but I actually like the kimono best of all so far. its seems like another sad planet! no smile, dull dresses! Very, very pretty kimono and lovely, perfectly-tailored dress (I love the subtle, feminine details). 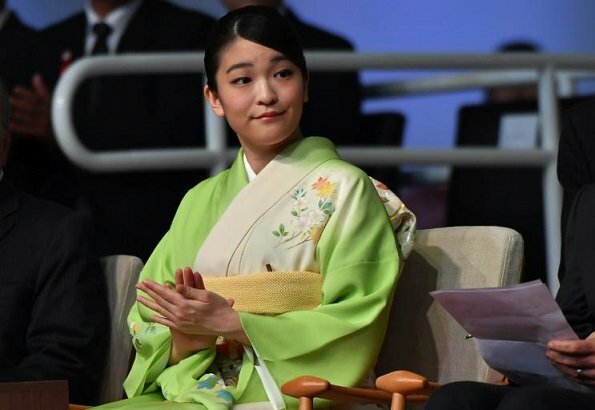 Princess Mako's hair, makeup and posture are also impeccable. She represents her country with charm and dignity. I think she looks sad. I hope she’s able to marry her fiancé because she looks like someone who is missing a loved one. I agree, she looks very sad, her smile says it all. She looks lost. I just feel so sorry. I see sadness in her eyes. Her fiancee is going to law school in the United States, and I think she's upset that she isn't allowed to marry the man that she loves. I can't imagine how hard it must be living such an old fashion life and she's only 26. Lovely, that kimono is WOW! The kimono is lovely and the dress is very pretty. Poor rich girl, not everything is fairy tales in the monarchies. 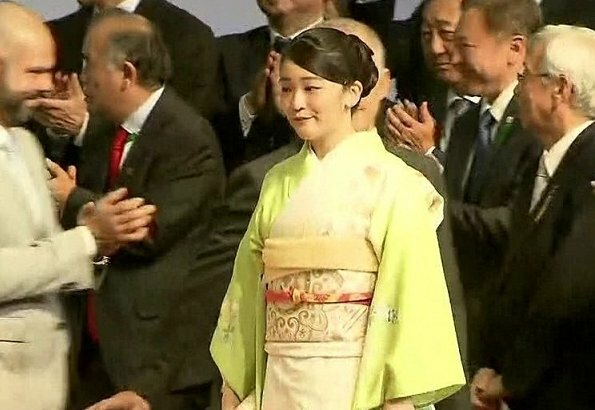 If Kimono or Western Clothing she looks very stunning. In uni colored dresses she looks fine I like her better in patterned dresses just MO. Poor girl. Isn't allowed to be her own person. Not allowed to smile. She always has that same scared little rabbit look about her. Kimonos are so pretty. I think she would have made a very good geisha in another life. 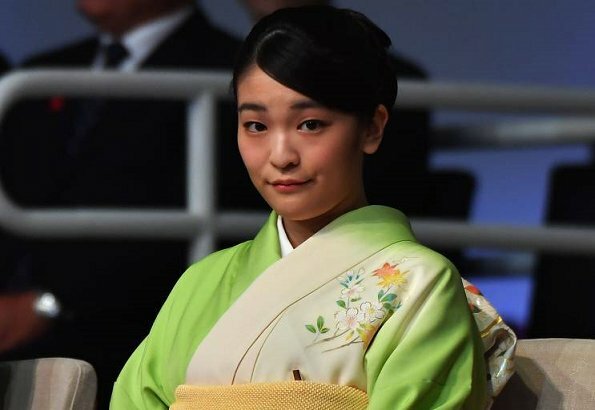 Do you know 'geisha’ means? Please don’t use that ward for her. Anon 5:41 what does it mean? Time honoured job in Japan although perhaps not what the Imperial Court would deem appropriate for a Princess. I admit that I am no expert on japanese culture but as far as I know many of these women were geishas because they had no other choice. Traditional Japanese female entertainers and hostesses. Exactly - so not an insulting word. I just love the dress! Beautiful, feminine, sweet.